So it’s time to show you what projects I’ll be working on throughout #WIPvember. If you’re wondering what I’m going on about click here to read a blog post all about this finish along. 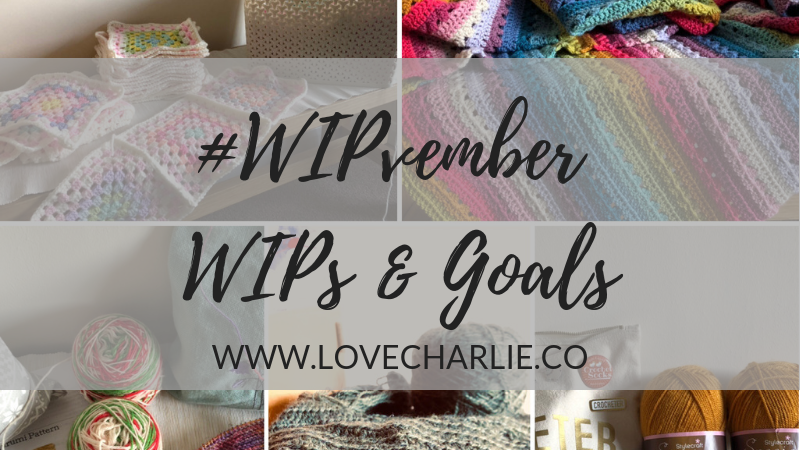 And if you do know what I’m on about, but you’re not sure how to choose your goals, then go and have a read through my previous blog post which offers a bit of advice on how to choose your WIPs and set your goals. First I thought it would be fun to show you ALL of my WIPs. I’ve linked to Ravelry so if you’re interested you can go and have a look at the patterns and designers. All projects are crocheted unless specified otherwise. I know that seems a lot (and it is) but I don’t tend to worry about the cross stitch WIPs as I only work on those in spring and summer, or whenever I fancy. They don’t stress me out in any way. Which leaves 10 WIPs as I finished Katie’s Christmas socks this morning. I’m contemplating frogging the stripey blanket as this was started for a wedding blanket – which I’m not doing anymore, and making a blanket using htr stitches is going to take forever! Maybe I can make a bag or something? The other 3 blankets have been put away for my next finish-along, and I can make some ‘proper’ progress on these next year when I don’t have so many WIPs. January has been designated for Wedding decorations, so I won’t worry about that until after Christmas. 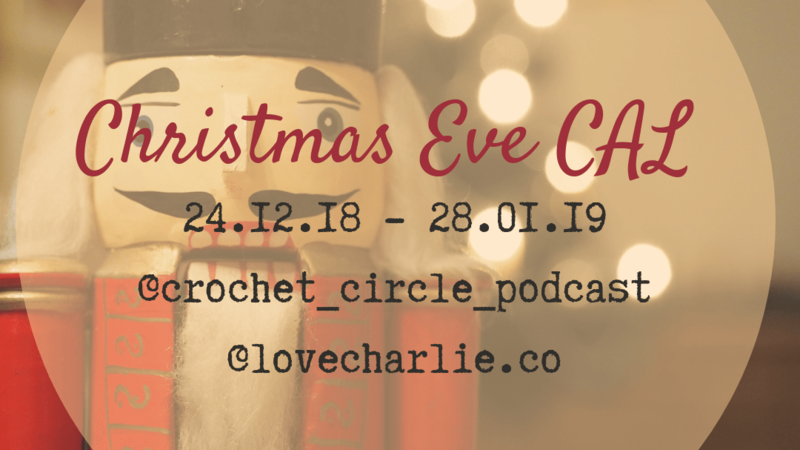 Due to the fact that I have to get a few commissions and gifts done before Christmas, I will be splitting my WIPvember goals into finishing existing WIPs, and it is fundamental that I start another couple of new projects to get them finished in time for Christmas Day. I want to get both blankets finished so they’re out of the way. Both are so close, but I may not finish the cosy stripe blanket. I don’t want to set un-achievable goals, so I am setting myself the target of achieving 2 colour repeats and I will re-evaluate whether I intend to finish it once I reach this point. I think this will take the first two and a half weeks of #WIPvember. I intend on working on the Mustard Treasure Island shawl and Candy Cane socks on my lunch breaks as these are small and easy projects – and once I have the blanket out of the way I can put more time towards these two. 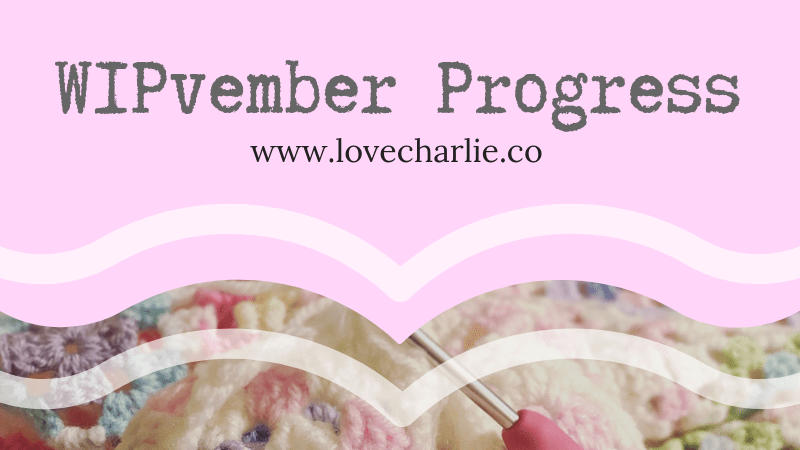 Week 3 & 4 are designated to the Criss Cross shawl as this needs my full concentration. 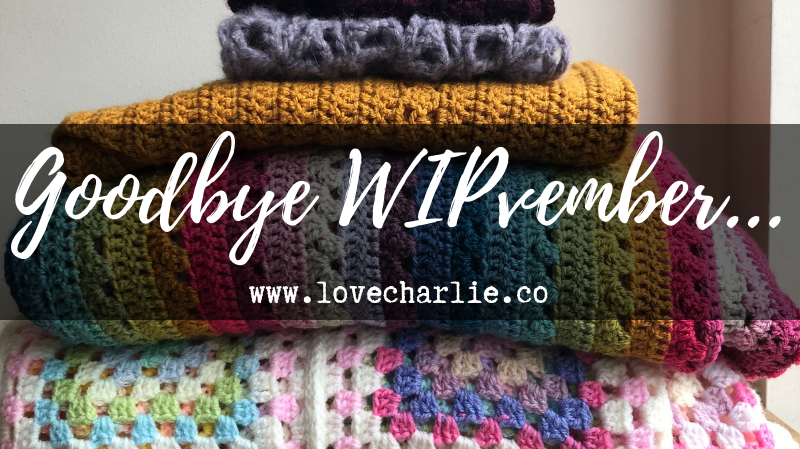 For some reason I haven’t enjoyed this project half as much as I should have done (which is why it has been left in the WIP pile for so long) I think it is the counting that I dread – I’m a perfectionist which means that I am counting each and every row to make sure I’m in the right place. But when I actually get going on this, I know I can make good progress when my ‘head is in the game’. I absolutely love the shawl and the Harvest Hues yarn from John Arbon I’m using, and I can’t wait for it to be finished. I just keep putting it off. Anyway, that’s my WIP list. Make sure you share your own WIP lists on Instagram so we can see what you’re making. 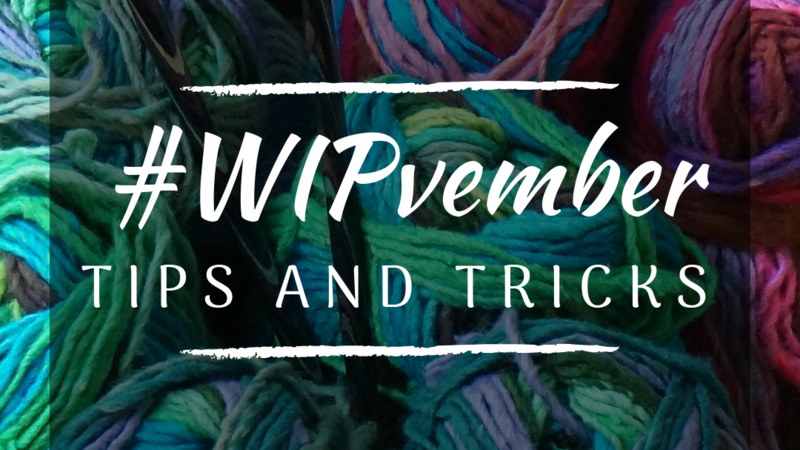 Use the hashtag #WIPvember. Save the below image so you can overwrite your own lists and share on your feed and in your stories. I can’t wait to see what you’ll all be working on. Remember to have fun!